There is a sad news which will hurt all MultiChoice Subscribers. MultiChoice made a decision to increase their DSTV & GOtv Subscription Prices starting From 1st of August. This is really a sad news and I am sure subscribers wouldn't be happy either. Sincerely speaking, I am not too. We are really expecting them to reduce Prices but instead, they are increasing it. 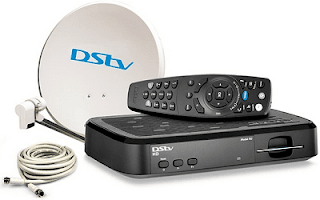 MultiChoice Nigeria will increase the subscription prices of its digital satellite platform DStv, while they will decrease the price on its GOtv Max package and this will take effect from 1st of August. Now, I know you guys are curious to know the latest price update. Below are some noticeable changes. If you are outside Nigeria, use a currency converter to see your price. Subscribers on DStv Premium package will be increased from N14,700 to N15800; Compact Plus will also be increased from the regular N9,900 to M10,650. Remember these subscriptions will last for one month. While Compact is from N6,300 to N6,800; Family from N3,800 to N4,000 and on Access, N1,900 to N2,000. There is a good news for Subscribers on GOTV Max package, they will enjoy a nice decrease from N3, 800 to N3, 200 while the prices on GOTV Value, GOTV Plus, and GOTV Lite packages remains untouched. The company hasn't said any official statement about this, but we got messages from them on your devices. Well, that might be all they need to inform us. This sudden increase of Subscriptions is as a result of no competition. TStv would have been their nemessis, but they failed to keep their promise. This is not the first time MultiChoice DStv will be increasing subscription prices and i guess there are more increase to come. A good advice from UcheTechs Blog - if you are yet to sub to any plan or you want to subscribe for 1 month, I'll advise you to sub for 2 months or more. You should know the reason. Meanwhile, i have a trusted dealer who will get you a cheap Gotv/Dstv subscription. PM on Telegram For That.